I am sure by now you have had heard of Chia! It is one of the foods that are becoming increasingly popular because of how nutrient dense it is and how versatile it is! Chia seeds are the richest plant-based source of Omega-3s on the planet. An excellent source of dietary fiber, complete protein and antioxidants, both the Maya and Aztecs held this ancient seed in high esteem for increasing vitality, strength, and overall good health. 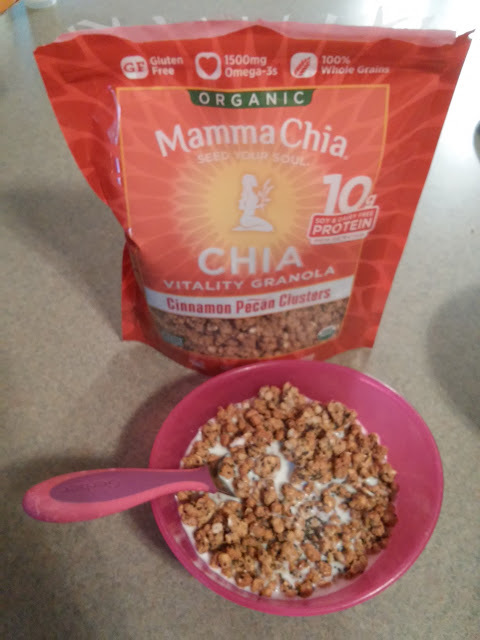 One of the ways I incorporate Chia seeds into my family's diet is through the great organic products from Mamma Chia, the leader of the chia revolution! They have introduced a delicious new way to embrace your crunchy side with the introduction of their soul-satisfying, organic Chia Vitality Granola Clusters. Each crunchy granola cluster is bursting with nutrient-rich chia seeds, whole rolled oats, wild blueberries or toasted nuts, and is naturally sweetened with a touch of golden honey and rich molasses. The clusters make for a nourishing breakfast or anytime snack that’s sure to set your day on a course for true enlightenment. Enjoyed by the bowlful or the handful, with milk or yogurt, at the table or on the go; these granola clusters bring their chi-balancing prowess and body-fueling brilliance to wherever your path takes you. Chia Vitality Granola Clusters are perfect for kids of all ages; athletes and weekend warriors; corporate climbers and mountain climbers; as well as anyone who seeks to seed their soul. My children LOVE to enjoy these Granola Clusters for breakfast and literally beg for it everyday!! I love to oblige because it is organic and filled with so much goodness including a lot of protein which makes for a great start to their day!!! I definitely trust Mamma Chia products because all Mamma Chia products are Non-GMO, gluten-free, Kosher, USDA Certified Organic, and honestly good for you! We have also been enjoying their Chia Squeezes in oatmeal, as a snack and on the go this summer! They are packed with so much goodness and all in a great throw-in-the-bag packaging! Perfect for all summer traveling, beach trips and vacations! I am always on the search for great organic food companies to not only feed my family healthy, nutritious and tasty food but to share with others! 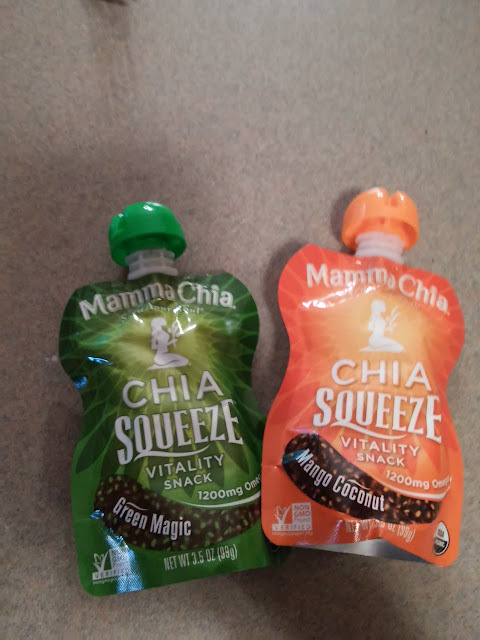 Mamma Chia is definitely a new one on the top of my list and one that will be regularly on my grocery list from now on! You can purchase Chia Vitality Granola Clusters for a suggested retail price of $6.49 in three blissfully delicious flavors: Wild Blueberry, Vanilla Almond, and Cinnamon Pecan. They can be purchased nationally at Target, Safeway and Sprouts. Mamma Chia is generously offering (1) variety pack of Vitality Granola – one each of all three flavors, 7 Chia Squeeze vouchers, & 7 Vitality Beverage vouchers to a lucky winner! I entered the Fibre-Craft kits giveaway.